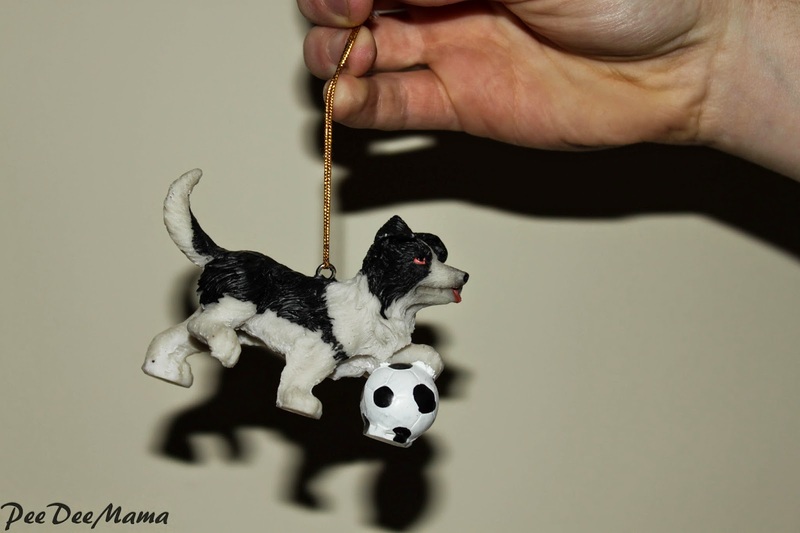 The Boy (who wouldn't allow me to take a picture of HIM with his ornament) combined his 2 loves - dogs and soccer. 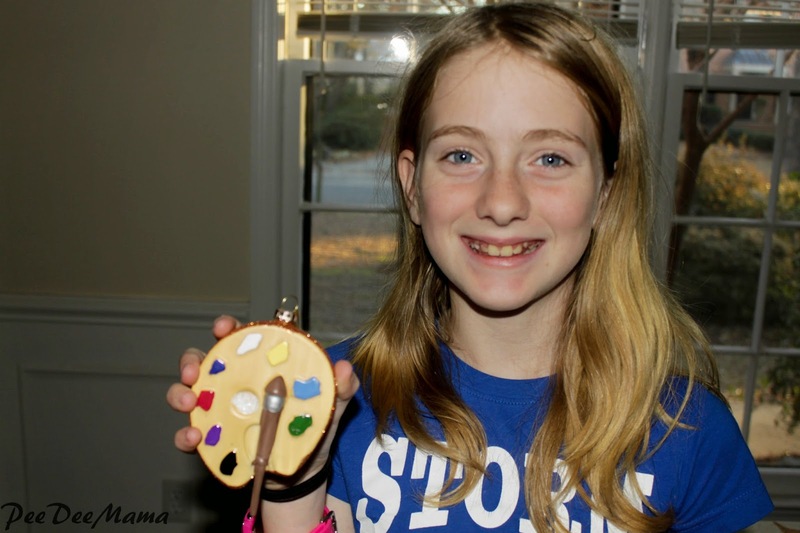 Soccer Girl loves to paint, so she was very excited when she found this painter's palette. 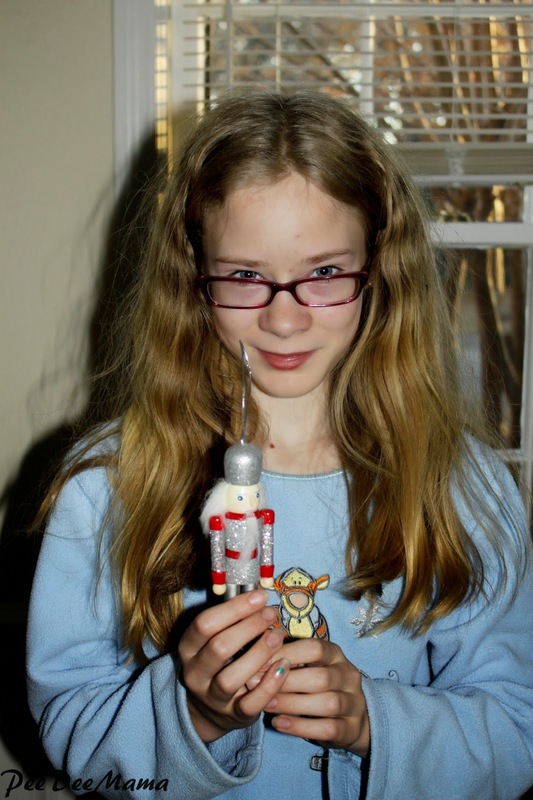 Even though Ballerina isn't dancing in the Nutcracker this year, she still loves it so she chose a Nutcracker ornament. 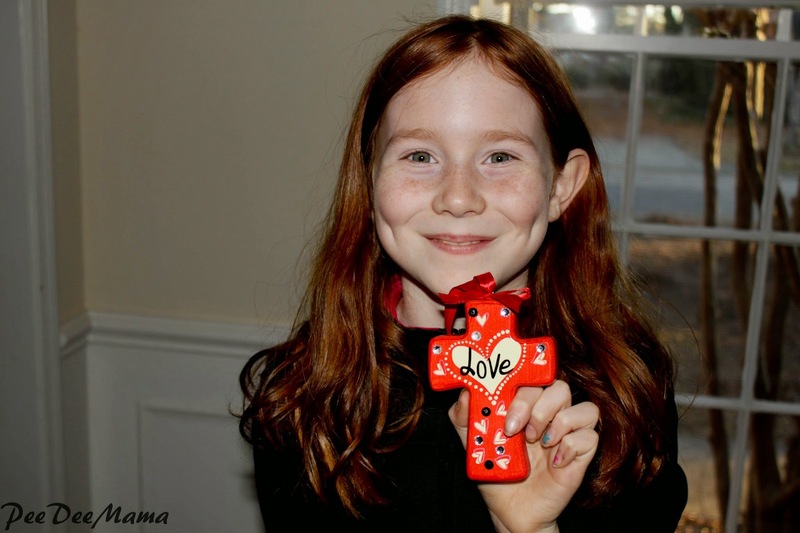 Little Red has such a loving heart for Jesus, so this one was perfect for her. Sassy REALLY wanted a Frozen ornament, specifically Elsa. We didn't find one at the stores today (and I really didn't want to drive all over creation to find one). 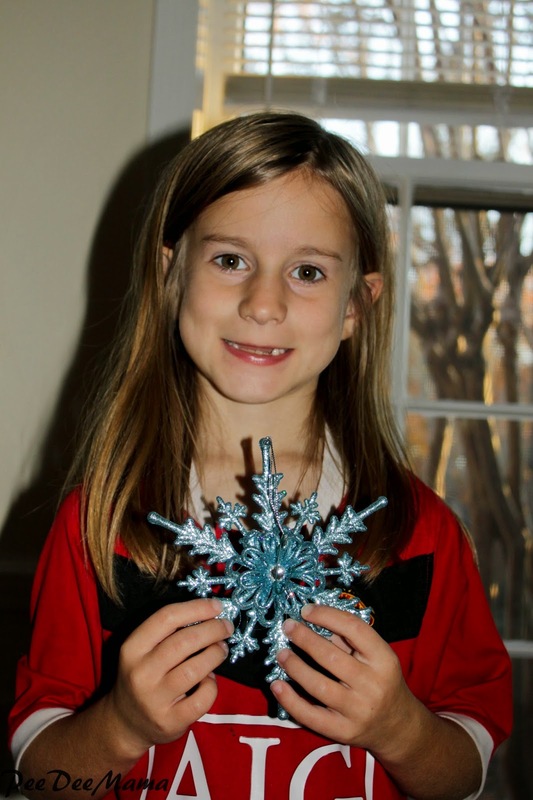 She decided that this snowflake ornament looked like a Frozen snowflake, so all is good. Do you choose ornaments each year for your small people?